CodytheRaptor: Who’s been running the oldest Trespasser site from the very beginning (Project Trespasser). Andres: Who has been working on TresView/TresEd, a program to look at,create and modify Trespasser levels. TSOrd: Who’s been quite successful with creating some new hacking utilities, based on the old THS tools. He started to create an editor to extract the music and sound files from the game, as well as a texture input file editor and some others. He has been working on the “MasterHack” (his idea of a Trespasser Editor), but then mysteriously disappeared and with him, most of the community died for a little while… In 2005 we got the sad news that TSOrd died on October 4, 2001. Rebel: Who has been working very hard on little programs to keep many people interested in the game. This include TPAReader and Shell Generator among others. Madppiper: Who has been trying to help wherever he could. Now, several years after we launched this site, we can be proud that we are still up and running. By now we have achieved a lot. Out tools have become better, a lot of new levels have been created by the community, we have recovered priceless original assets from Trespasser, including versions of the long lost Pine Valley and Plantation House. The community is still here, it is still active. Even when you don’t see any update lately or if the forum have been a bit inactive for some time, you can be sure there are people still modding and playing the game behind the scenes! A special thanks goes to our old host the GameSpy Network & the new host Ilscipio! I saw the last entry here is 4 years old at last. So are there news ore somethings? I miss the old times. 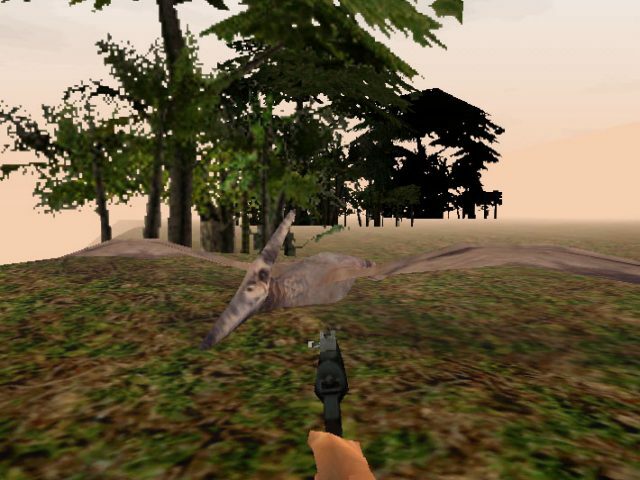 What is about Trespasser 2 with Cry 2 Engine? Is the Project stopped? Why are going nearly all old games going to be forgotten? i am not sure I can agree. The last post was on Dec 10th and there has been plenty of updates within the forum, that we just haven’t come around to report about yet. You might be interested in the development of http://trespassingpetrolia.com/, which is a great Trespasser Mod for the CryEngine 3!!! Im Chris Lyon – a filmmaker living in Shreveport, La. I was referred to you by a fellow JP fan who suggested I reach out to you. I’m currently running a Kickstarter for a project that I’ve wanted to do since I was a kid – a Jurassic Park Fan Film. After growing up and joining the film industry, I’ve grown my talents and desire to tell stories enough to where I’m going to attempt making something really special for myself and the JP community. It’s called “The Incident” and is a story about the chance encounter of some civilians and the InGen Corporation during construction on Isla Nublar. It’s sourced from the novel and realized using the visual continuity established in the films, creating what is essentially a bridge of missing content or a set of deleted scenes or alternate viewpoints. It’s sure to be a fun ride and I hope we can raise the funds to make it work. I’m extremely passionate about Jurassic Park and the opportunity to tell a story like this brings joy to someone like myself. I’ve called in a lot of favors to make this happen and could really use the help from you guys in making it a reality. If this project and the passion speak to you – and you think it would speak to your fans – would you be willing to help spread the word about our fundraising efforts? I would love to speak to you guys about the project and what people can expect from it. We really have something special here. Our Twitter is @JPTheIncident and our facebook is /JPTheIncident. I’m having a bit of a problem in creating a forum account, I’ve not received the activation email. I’ve check the spam box numerous times and click the resend email button numerous times too, please help. Yeah I’m having the same problem as the above guy, created an account but haven’t received any confirmation mail in my email inbox or spam folder. Know for a fact that I got the email address right, bug in the system perhaps? Hey guys. How do I sign up to be a fan on this site? I cannot login. I’ve sent the activation email numerous times, but to no avail. If you could help me, that would be great. Maybe it’s the spam protection? I have a similar problem. I’ve just registered an account on the forum site but have not received the activation code through email. Again, I definitely got the address right, I’ve checked my junk and spam folders and still nothing. I think there may indeed be a bug in the system. I’m begging you to help me. Call me a crank but I’ve been playing this game since it came out. I so wanna join this community. The username I registered with is David-King. and no worries – i activated your account. I am still not registered, and it wont let me do it again. I tried again with new email address listed above.. I activated your account. Welcome to TresCom! This is second time I’m trying to ask you for help with activating my account. My nickname is VendorX and mail the same as this one, so I will be grateful if you can help me. Gregory, your forum account (VendorX) should be active now. I’m assuming there was no reason for not activating the account. Have you seen “Return to Jurassic Park: A Tresspasser Mod”? I don’t remember my username here or I’d post it in the forums..
Hi Seph. Yes, it is one of our lovely community member who is the creator of that one! Feels free to create a new account on the forums! Yes. This is one of my favorite websites. I’m glad that is has gotten this far.